After a much-needed bye week, a well-rested Warriors side made the journey down to Christchurch to face the Manly Sea Eagles. The Sea Eagles have had an edge of the Warriors for a long time having won the past seven matchups between the sides. 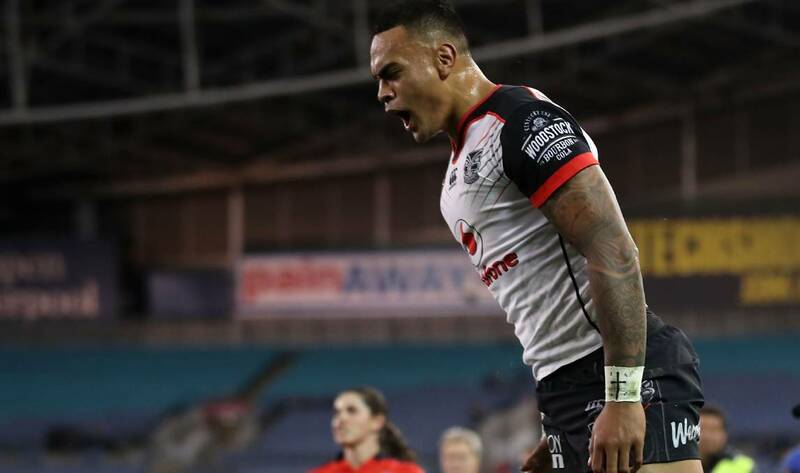 The Warriors, however, paid no attention to the past and put on an impressive show for the NRL starved south island crowd defeating the Sea Eagles 34-14. What a way to bounce back from the heavy defeat to the Rabbitohs in Round 12. The Warriors were missing Roger Tuivasa-Sheck which saw Peta Hiku shift to fullback and Gerard Beale come into the centres but welcomed back Shaun Johnson in what was his 150th match for the Warriors and he played like he hadn't missed a step in his lengthy spell on the sidelines. Overall the whole team played well, and the lift in attitude and effort was visibly noticeable which leads me to my positives from the games. The forwards came to play, I have talked at length for the past month about the pack not all pulling their weight and how difficult winning games is when the forwards are getting a roll on, and they improved ten fold in this match. 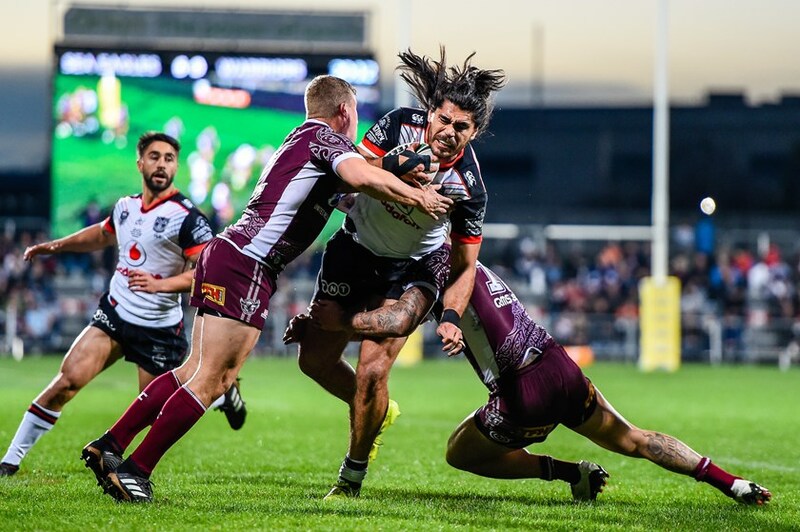 The front row was pushing the defensive line on almost all their hit ups, and the Sea Eagles struggled to contain Isaiah Papali'i and Tohu Harris on the edges. They also backed this up defensively restricting the Sea Eagles opportunities for the majority of the match, if the forwards can consistently perform at this level the chances of a top-four finish increase dramatically. The back three were at their rampaging best with Hiku performing well in Roger's place, but the kudos really need to go to Ken Maumalo and hat-trick hero David Fusitua who were continually causing headaches for the Manly side. Ken has grown substantially this year, and I think David is by far one of the best wingers in the NRL right now and I think he is a sure bet to stay the leading try scorer this season as he took his tally up to fifteen. Even with the absence of RTS the spine really clicked, Mason Lino has done a solid job filling in, but man is it great to see Shaun and Blake reunite. With Blake quietly leading the side around the park Shaun was able to pick his moments and strike when he saw an opening, this Warriors side is a handful on defence when Shaun is in a running mood, and long may it continue. The Warriors were a lot more clinical in this performance with a lot less nonforced errors, and after a slow start the Warriors piled on 34 unanswered points and looked ready to keep the points coming which is what they are going to need to do as they start the journey to improve their points differential. And lastly I just want to commend the Christchurch crowd, it sounded like there was a great atmosphere and you could really hear the Warriors support through the television screen. I'm jealous I was unable to come down for the game, but the next time the Warriors play in Christchurch I will be going for sure. I've watched the game a few times since Saturday night, and I struggled to highlight many issues, and it is mainly hair-splitting, but no performance is perfect which leads me to my negatives. The missed tackles still concern me, although they didn't lead to a lot of points for Manly, against a top-four side, the 44 missed tackles could have forced a tighter contest. I would like to say it is a work in progress but the missed tackles always seem to stay at a high volume but as long as the Warriors support players make the save they can keep opposing sides out. The Warriors showed a little ring rust in the early stages after having a week off, but it didn't take too long for them to get into the swing of things. Moving forward I'm hopeful that the Warriors will start their games stronger, but as they say, it's not how you start the race, but how you finish it so as long as the Warriors keep finishing games strong, I will find less and less to complain about. And lastly is just giving too many penalties away for holding on in the tackle. This is another constant issue with the Warriors in 2018 and to be fair I think they were hard done by on quite of few this round and it looked like Manly were holding the Warriors down for longer without getting penalised but they just need to take notice of how the refs are calling the tackles and react accordingly. As stated above it I'm just nitpicking here, and I'm looking forward to seeing a similar or even better performance in Round 15. My Warrior of the day goes to Ken Maumalo. There are so many players that put their hand up in this performance, but when I think back to my favourite moment of the game, it was Ken's 50 metre barnstorming run where he pushed of Daly Cherry-Evans several times as he marched down the field. Ken's improvement in 2018 is by far the most significant improvement in this entire squad and his effort on Saturday night needing mentioning. He may not score tries like David does but he helps the Warriors get out of their own half with big runs, and his 199 metres was a mammoth effort. As long as he continues his metre eating ways I don't see anyone taking his wing spot of him for years to come. I have no Warrior to improve this week, so I want to give a shout out to Tohu Harris. Tohu was in my eyes the strongest performing forward in the weekend and was a handful whenever he got the ball in hand. I thought he was a bit quieter in the second half which is why he didn't get the Warrior of the day nod, but you can really see the difference Tohu has made to this side this year. I think it is no coincidence that David is playing his best season ever for the Warriors at the same time that Tohu is playing on that right edge. He is a natural born leader, and I think he is going to be so integral to this Warriors side and their development of young talent coming through for years to come. Round 15 sees the Warriors travel to Townsville to face the North Queensland Cowboys on Friday night. The Cowboys have had a year to forget in 2018, but they have dangerous players all over the park so you would be a fool to take them lightly especially at home in front of their vocal fans. The Warriors won by 10 in Round 5 when they hosted the Cowboys at Mount Smart, and I'm predicting another Warriors win this week, but this time I see the Warriors winning by 12. The Warriors just need to replicate what they did in Christchurch, and they will be well on the way to getting the victory. So that was my take on an excellent Round 14 performance, and as usual, I will leave you with some questions. With rumours about Issac Luke possibly not being re-signed, what would you do? Sign him or let him go? Who was your best performer of the night? Do you think the Warriors will stay in the top four for the remainder of the season? What is your score prediction for Round 15?